Asia’s largest hub port city has undergone many changes. Since its settlement they were strongly connected with its marine aspect where the land with its buildings and infrastructure were heavily influenced by the water transport. 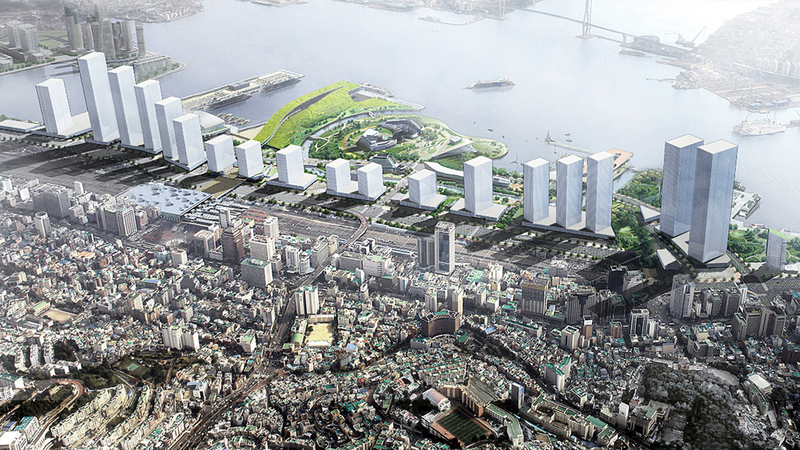 To to cope with the industrialization of Korea the city grew consuming more and more of the water areas. 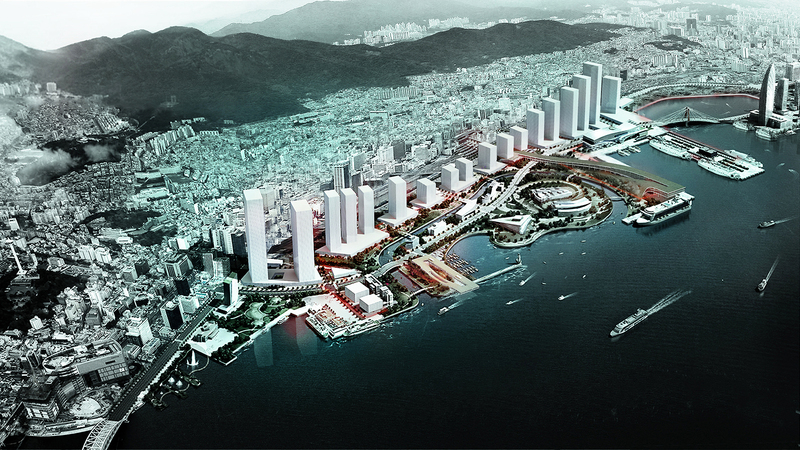 Nowadays, with the new plan to create a residential and commercial district in the new port area along the coastline, it is crucial to preserve the historical significance of Busan with its natural heritage and practically use it to build a creative and responsible design. The Waterfront park design would be based on the original coastline with the historical waterway bank protection system exposed. It would perform as an element of a prevention and crisis management system, a border between the safe area designed to protect from natural disasters like floods, tsunamis, by building at 5 m in altitude, well above the highest water levels(1.41m) recorded for the region with a buffer space (1m) provided between the ground and the foundations to stop transference of seismic energy from quakes and the coastal surface, covered with a number of porous water gathering layers able to absorb and slow down the impact of incoming waves and rainwater. In order to improve the efficiency and limit the amount of CO2 emission a street path for electric cars would be introduced and a new connection between the train station, transit center and water terminal would be established. The coastline refurbishment would offer not only protective measures but also new forms of social experience. 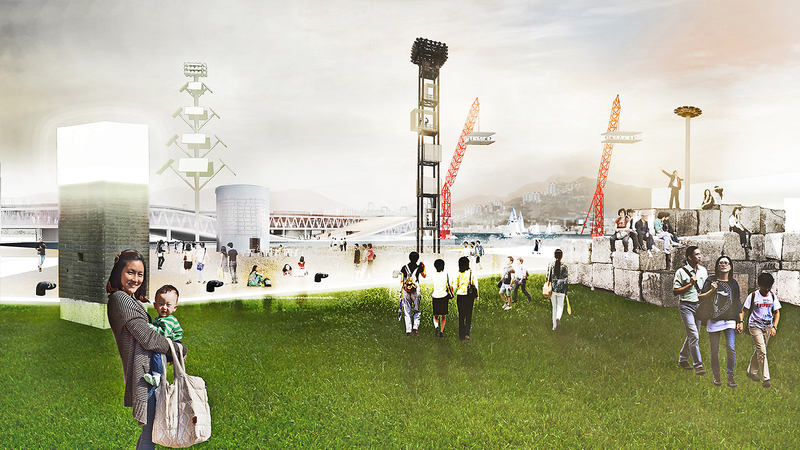 Historical elements would be re-used to provide a series of recreational and cultural activities in the waterfront. The reclaimed land would be connected to the city as a green and safe area. An eco-friendly marine socializing zone.